State Monuments - Ballarat District Orphan Asylum, Orphanage, Children's Home 1865-1980's Never Hidden Or Forgotten! Throughout Australia each State has been acknowledge with their own Forgotten Australians Memorial Monument! 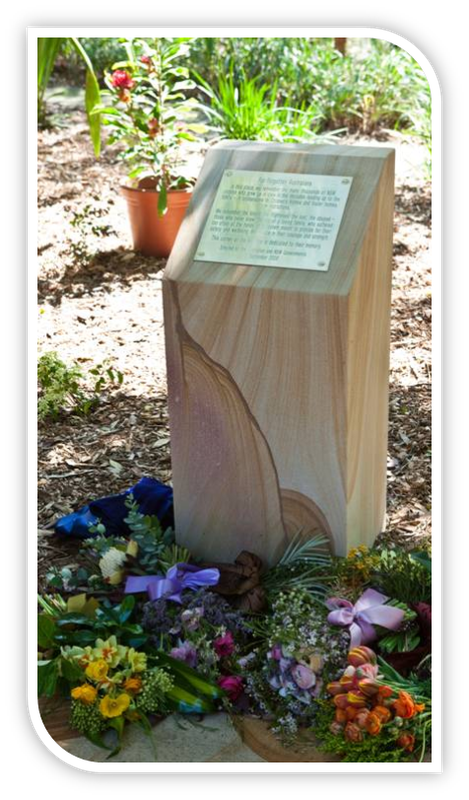 "This memorial is jointly funded by the Western Australian and Commonwealth Governments and is dedicated to all Western Australians who experienced institutional or out-of-home care as children. There is a strong thread that links the way a child is raised with the person they become in adulthood. This memorial stands as a reminder of that thread to all who create policies that affect children." “World within, world without (2010) Helen Bodycomb This artwork reflects the constellations above Victoria at 11am on 16 November 2009, when Prime Minister Kevin Rudd made his national apology to the ’Forgotten Australians’. Wattle blossoms represent the one thousand most visible stars and planets, one for every one hundred children who were in Victorian state care. Here we remember those thousands of children who were separated from their families and grew up or spent time in Victorian orphanages, children’s homes and foster homes last century. Many were frightened, abused and neglected. The memorial recognises all Victorian Forgotten Australians during the last century. 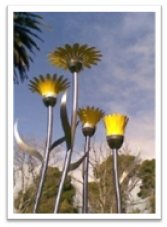 The South Australian Memorial to the Forgotten Australians was unveiled on 17 June in Peace Park at the corner of Sir Edwin Smith Avenue and Brougham Place . "In honour of children who suffered abuse in institutional and out of home care.We have grown though awareness and unity.We celebrate our courage, strength and resilience. We are no longer forgotten. Dedicated to the future protection and nurturing of all children. 17 June 2010"
In this place, we remember the many thousands of N.S.W children who grew up in care in the decades leading up to the 1990s – in orphanages, in Children’s Homes and foster homes,in institutions. We remember the lonely, the frightened, the lost, the abused – those who never knew the joy of a loving family, who suffered too often at the hands of a system meant to provide for their safety and well being. We rejoice in their courage and strength. This corner of the Gardens is dedicated to their memory. Erected by the Australian and N.S.W Governments 19 September 2009. The Historic Abuse Network Memorial, also known as the Child Abuse Memorial, was unveiled in Brisbane, Queensland in 2004 and relocated in 2006 to Cathedral Square. 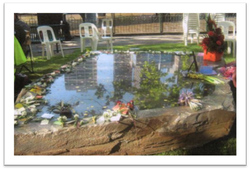 "In memory of all the children who suffered and of those who did not survive abuse in Church and State Children's' institutions' and homes in Queensland. "For there is nothing hidden, except that it should be made known, neither was anything made secret out that it should come to light." HAN and SOICA gratefully acknowledge the support and assistance of the Brisbane City Council and Queensland Council, Department of Communities." On 26 November 2008. A special memorial garden and plaque commemorating Tasmanian children who spent time in State care have been unveiled by Human Services Minister Lin Thorp and a former care leaver. Walter Tusyn joined Ms Thorp in the formal dedication of the memorial to those who have come to be known as the Forgotten Australians in the Royal Tasmanian Botanical Gardens. The creation of suitable memorials commemorating care leavers around the country was endorsed by the Australian Government following a Senate report detailing accounts of historic abuse and neglect. For may Forgotten Australians to hear the Prime Minsters Apology and the memorial gatherings for Forgotten Australians and their families a little to late for many thousands who have passed away.